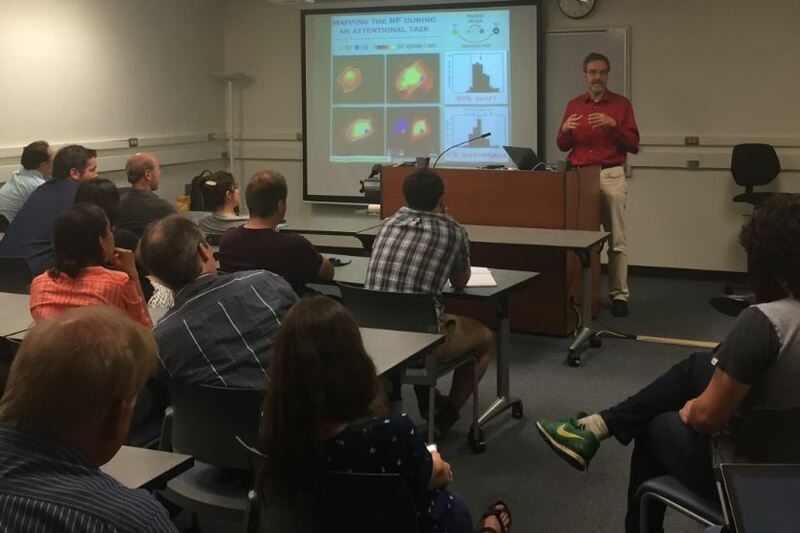 Dr. Stefan Treue and Dr. Mike Mustari discuss data collection and analysis. 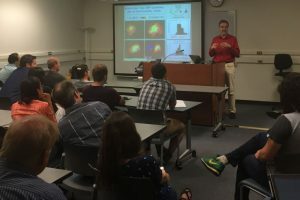 On June 29, the WaNPRC hosted Dr. Stefan Treue, Director of the German Primate Center (DPZ) and Head of the Cognitive Neuroscience Laboratory (CNL) at the University of Göttingen. 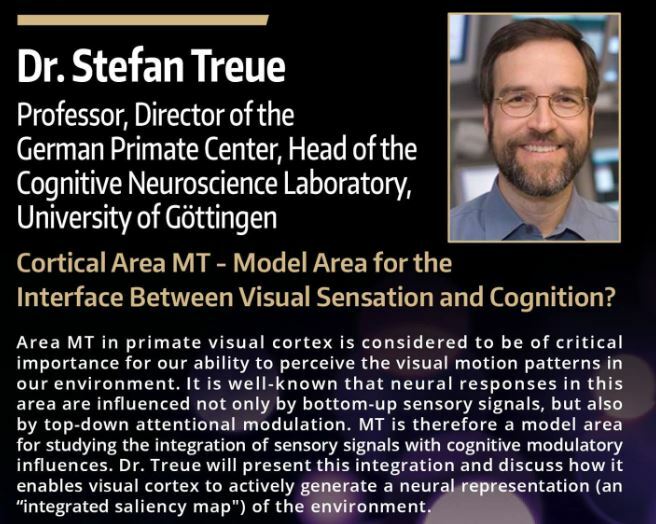 Dr. Treue was first greeted by Dr. Greg Horwitz whom he had teamed up with on a 2010 summer Computational Neuroscience workshop on vison at the Cold Springs Harbor Laboratory in New York. Soon they were joined by Dr. Eb Fetz who has visited the DPZ frequently over the years. 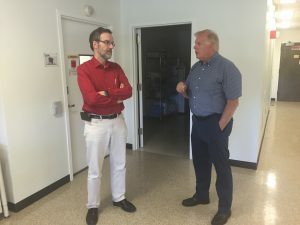 Assistant Director Gail Ellingson had the pleasure of guiding Dr. Treue on a brief tour of the new Animal Research and Care Facility explaining the new model of collaboration with the UW Department of Comparative Medicine. Treue’s seminar in Guthrie Hall. WaNPRC Director Dr. Mike Mustari sat down with Dr. Treue for discussion followed by a walk around to various neuroscience laboratory spaces. This was a great opportunity to touch on the similarities and differences between American and European centers for nonhuman primate research. Dr. Treue was able to coordinate his academic visit to the University of Washington with a family RV tour of the Western US National Parks. Dr. Geoff Boyton from the Department of Psychology at the University of Washington served as faculty host for Treue’s seminar lecture entitled, “Cortical Area MT – Model Area for the Interface Between Visual Sensation and Cognition.” The seminar took place in Guthrie Hall and was attended by a full house made up of Psychology faculty, graduate students and neuroscientists from various WaNPRC affiliated labs.